An unusually delicious pairing of Maine blueberries and Maine dulse. Preheat oven to 375 F and put cupcake liners in a muffin tin. Cream together shortening and sugar. Add egg and continue to beat. Stir in water and vanilla/rum. Add dry ingredients and stir until well blended. Do not overbeat, just stir until everything is nicely blended. Fold in fruit. Pour into the pan of your choice. Now it’s time for the yummy topping. Sprinkle on top of your muffins. Bake for 30-35 minutes, depending on pan size and oven. 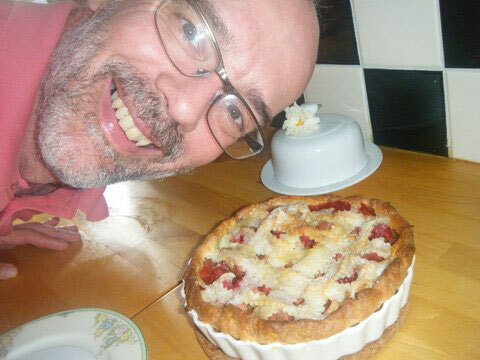 Remove from oven, cool slightly and ENJOY! 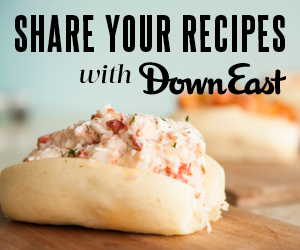 Submit your favorite Maine-inspired recipe and we may feature it on our website, in our food newsletter, or on social media!